Crop circles - Ball Lightning. Explanation, decipher, decode, discovery, break code, explaining, decryption, puzzle out, scientific research. 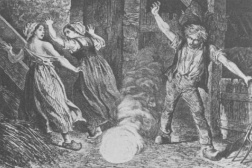 Some theories consider ball lightning as possible creator of crop circles and similar patterns. You can never underestimate the stupidity S.Adams of the general public. Motto: Trying to explain the patterns in crop by the action of ball lightning is just an attempt of explaining the "inexplicable by inexplicable," and can not be even demonstrated, confirmed nor refuted. to explain the process of forming crop circles there is no need to call for assistance any very exotic phenomenon, actually the phenomenon still not satisfactorily explained. It would be only a somewhat feeble attempt to "explain inexplicable by inexplicable," which happened in history already many, the same at present, and certainly in the future. In addition, this entire site dedicated to one particular and the most important idea: All the crop circles that have been ever originated in the world, formed as the consequences of quite ordinary lightning. 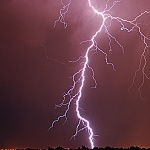 Although it was in most cases need a cooperation of a number of very random and very unlikely additional reasons, that caused a significant difference from "ordinary" lightning discharge. In most cases, after the lightning discharge the crop is only quite commonly flattened (damaged, weakened), in a completely disordered bundles and structures. In very rare cases and with the cooperation of several relatively random and very rare causes, which are explained on many other pages, may result in a regular pattern, that appears usually only very long after the thunderstorm. Absolutely the same like any commonly flattened (damaged, weakened) crop. One thing have crop circles and ball lightning relatively common: Also ball lightning is occuring only in very rare cases, on which cooperate a number of other random reasons, but probably or even almost certainly completely different than that in the case of crop patterns. Such a statement would have been, however, so far relatively difficult to prove objectively, even if it is hard working on that, as is apparent from the following text. One of the possibilities how to explain any phenomenon is try to imitate it in the laboratory. If something like that is at least to some extent successful, is possible to consider the phenomenon as an explained (at least to some extent). The most important parameters are such as laboratory simulation feasibility, repeatability and at least the minimum statistical yield. This means that at least some of the performed experiments from time to time succeeded, and that it is at least managed to repeat it occasionally. Something similar in the issue of ball lightning, according to available sources, at least a little satisfactory result, unfortunately so far was managed perhaps never. Because mystery lovers (= mystery believers) on this site again wiped their asses, like almost of all pages of this site, there will be as a small compensation offered something truly unique. Trying to explain one so far not satisfactorily explained mystery, the process of formation, movement and the mechanics of the emergence of ball lightning. It's certainly much better than if someone kicked them to that their wiped asses for their great stupidity.